Chonburi native Nititorn is, to his family and teachers, a normal eighteen year old student. But to the younger students at his school, and many who meet him, he is an inspiration. In his studies he is top of his class in most subjects. He is a member of a marching band, a guitarist in a rock group and a soloist in a traditional Thai music group. 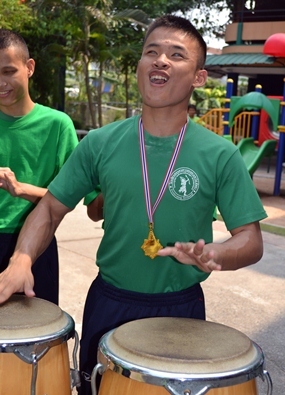 In his spare time he plays a variety of sports and has represented Chonburi at table tennis, goalball, futsol, volleyball and athletics competitions. Many parents may think that their own child is a brilliant student and Nititorn is no different to many other students. 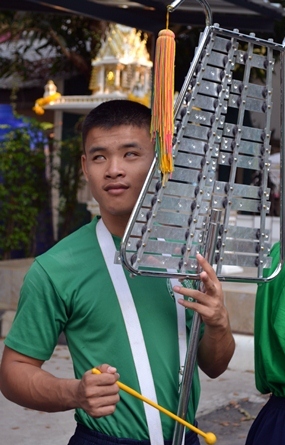 But the difference between Nititorn and many other students is that he is blind and he attends the Pattaya School for the Blind. 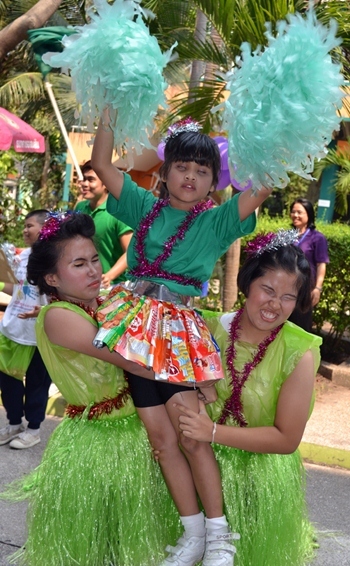 Each February the school hosts its annual sports day competition and as expected Nititorn won several medals. While the students may be best of friends all year long, they become fierce rivalries as athletes represent their team and attempt to win as many gold medals as possible. However, this year’s competition was a bit different to other years as there seemed to be more enthusiasm to win the gold medal for the best cheerleading team than for athletics. As captain of the Green Team, Nititorn led his teammates in a series of songs and dance routines which brought cheers and a standing ovation from the audience and judges. Each team was given ten minutes to perform for the judges and it was surprising to learn the students could not be heard all over Pattaya. In the end it was a difficult decision for the judges as it was clear to see that both teams had spent a lot of time rehearsing their routines, but when the winning team was announced, once again it was Nititorn who stood on the winners’ podium to collect the gold medal. A leading member of the cheerleading squad. Nititorn with one of the many instruments he plays. The Green Team won the cheerleading competition.